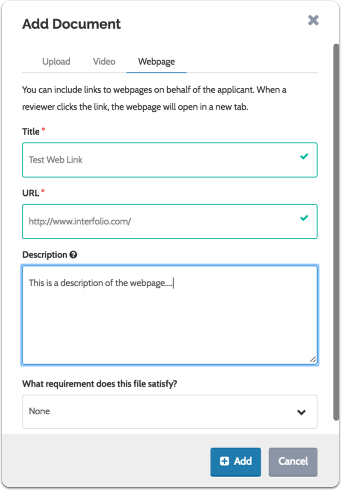 This article explains how Committee Managers and Administrators can create an application on behalf of an applicant in Interfolio Faculty Search. 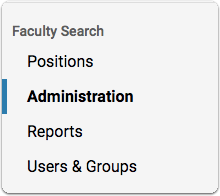 Click the Actions button and then "Add a new applicant"
Fill out the "Add New Application" form and click "Add"
Administrators and Commitee Managers CANNOT fill out forms (EEO or Custom) on behalf of applicants. 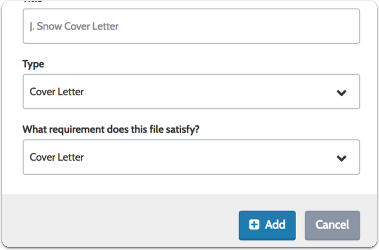 Applicants must be notified to complete any form responses, and to do so the application must allow for updates. 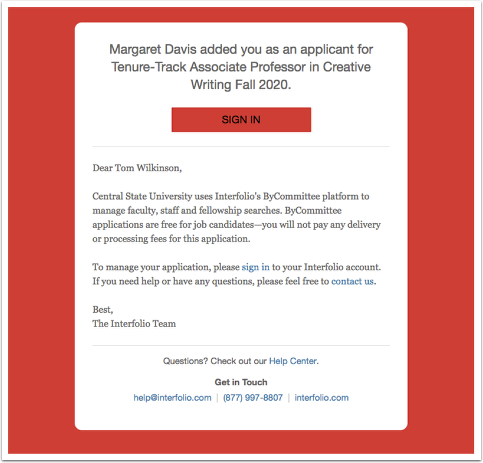 For more information on how to accomplish this, reference our resources on Messaging Applicants and Creating a Position Status. 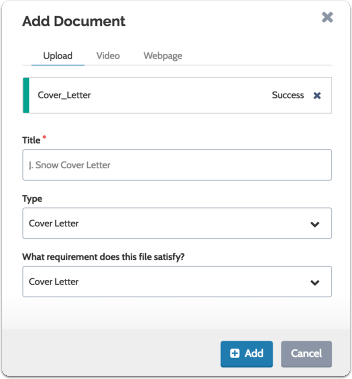 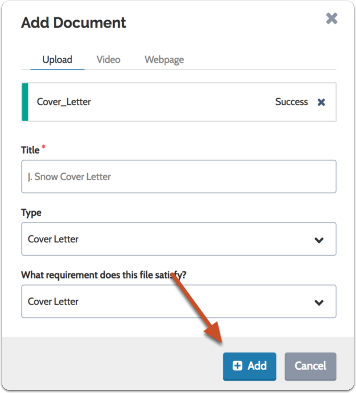 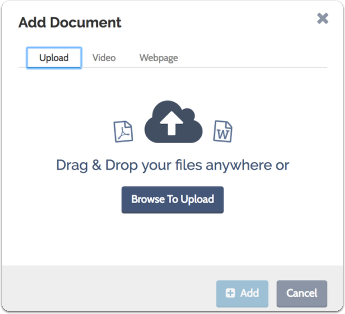 Scroll down to the "Documents" section and click "Add File"
You can also upload links to Vimeo or Youtube videos and use those to satisfy document requirements of the application. 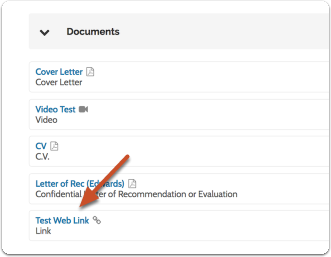 You can also add links to webpages and use those to satisfy document requirements of the application. 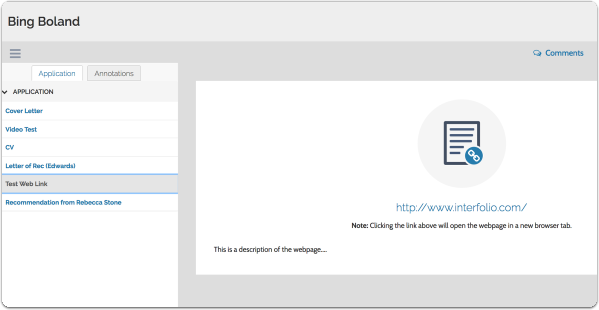 Note: Clicking the link will open the webpage in a new browser tab. 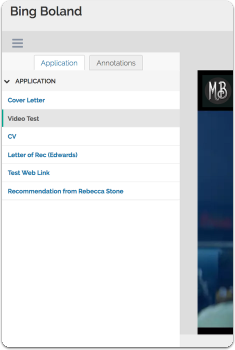 Click the "Actions", and select "Mark Application Complete."